Dan Hardy is not new to myself, or 10th Planet Van Nuys. I had the pleasure of being his Jiu Jitsu Coach in his title fight versus Georges St. Pierre. It was at that point, the highlight of my MMA coaching career. Being able to have the honor of being a part of something that big, a title shot against one of the biggest draws in the sport, was indescribable. The coverage was crazy, Dan was doing interview after interview, photo shoots, appearances, and not to mention the camera’s followed up around everywhere. The UFC was doing a 24/7 type reality T.V. show leading up to the fight. The schedule was packed from sun up, to sun down, but when when could fit it in, we did like to get a bit of training in too! The whole story itself is crazy. We trained all over the place, Matt Serra’s 2 gyms, LA Boxing in New Jersey, Ray Longo’s in Long Island, and Joe Defranco’s just to name a few. We even trained at this decrepit, old wrestling gym where many great NJ amateur champions had wrestled. The place had no heat and it was freezing cold, it was filthy, it was wet, it was falling apart and it made a great photo opportunity! I was miserable, my joints hurt, I was covered in dirt, but it was great material for the camera crew! After that training session, I was pretty confident we’d have a shot at that fight. Training in that place made me feel like we were the underdogs about to fight the Canadian Ivan Drago in GSP. I knew one thing, for better of for worse, GSP wasn’t training like we were! Unfortunately, that fight didn’t finish how I would have liked it to. Dan ended up losing a 5 round decision to GSP. It did however show that he does not give up. Even when it looked like St. Pierre was going to finish him with a fully extended armbar, or a fully locked in kimura that was completely behind his back, he would not give up. He proved to the world it is not easy to finish him. Many critics didn’t even expect. him to last one round, much less, survive an entire fight and sustain little, to no damage! He did much better than most people expected. He went the distance and gained much respect from fans all over the world. All personal things aside, Dan Hardy is legitimately one of my favorite fighters on the planet to watch. He exciting, he’s dynamic, and he’s always down to scrap! There’s a reason that even though he had a brief hiccup in his career, losing 4 in a row, that he’s still in the UFC. He proved he belongs in there in his last fight, when he knocked out striking legend, Duane Ludwig. I know tomorrow I’m going to have my tv set to watch Dan take on the always dangerous, Amir Sadollah in Nottingham UK. I have to guess Dan isn’t going to let his fans down when it’s in his home town. NO WAY! 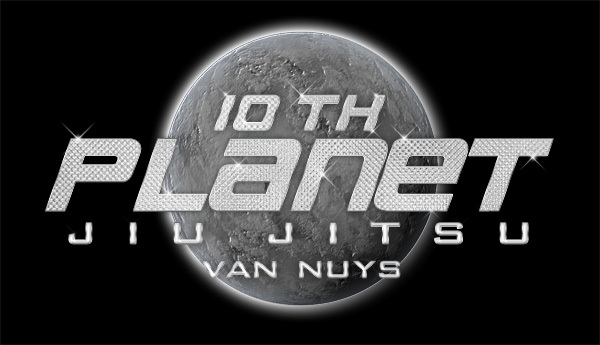 Many of the fighters at 10th Planet Van Nuys look up to Dan and have modeled certain parts of their styles after him. In fact, just last week one of my top fighter, Mike “Lobes” Frausto, used devastating knees to finish his opponent in less than one minute in the first round. The last of which forced the referee to stop the fight because one of the knees that landed, looked like it broke his arm. After the blow was delivered, his opponent dropped his hand and started holding his arm in pain. The ref waived off the fight from there, declaring the fight a TKO. I know Dan would be proud!